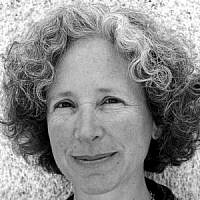 The late Bonna Devora Haberman is author of 'Israeli Feminism Liberating Judaism: Blood and Ink' and 'ReReading Israel: The Spirit of the Matter,' National Jewish Book Award finalist. Dr. Haberman taught at Harvard, Brandeis and Hebrew universities. In Jerusalem, she initiated Women of the Wall, a 25 year strong movement for women's full participation and leadership of public religious practice. -- Dr. Haberman died on June 16, 2015.